Hi Everyone its been an long time I haven't posted anything. Just Sometime before I receive an Email From Peter . He wanted to Know how to have social bookmarking widget below post title. So its mine todays Topic. 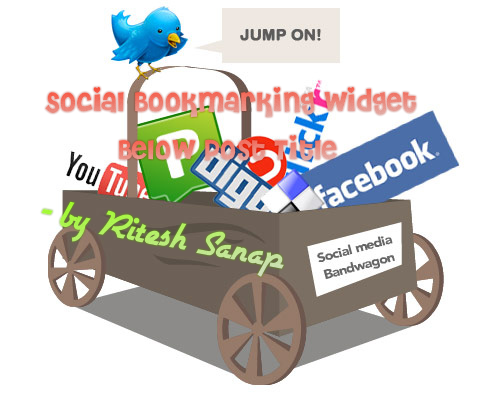 You Might Have seen some of the earlier bookmarking widget that have been published on this site. You can grab any one of them theirs no problem.which one you select. So lets get Started. Then Click on Design then click on Edit HTML. Then check Expand Widget Template. This will result in Codes to get displayed below post title. To display the widget on post page according to reference of the earlier post How to show Sidebar or widgets on Homepage or Post Page. Paste your Bookmarking widget Code Here.